Here, one can be able to enjoy world class facilities and amenities like parks, gym, club house, swimming pool, shopping complex, 24 hours water supply, power back up, beautiful landscape, gymnasium and also a fully air conditioned party hall. 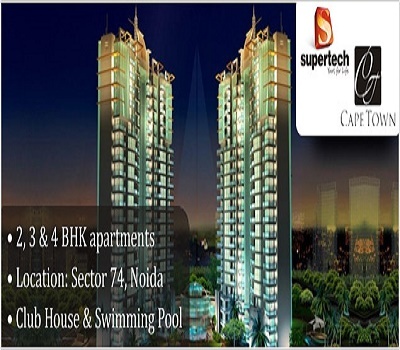 If you are one of them who want to add a touch of elegance in their life style then you need to invest your money in this newly launched project named as Supertech Capetown Sector 74 Noida. This project is only a source to opening the doors of new possibilities and dreams that imagine by everyone.